Fifty Shades of 4 Ply: We have a winner!!! Evening everyone :-) Ah it's been a busy busy week! Lot's of hooky and work stuff with a Birthday (mine!) thrown into the mix. I honestly wonder where the days and weeks are going. Can we really be heading into October? Can I really be another year older??? Yikes!!!! Anyways...I digress ;-) I'm sure you're all waiting for an announcement! Sooooooooo.......here we go. I decided to add in all the comments left on the blog post. 53 in total! 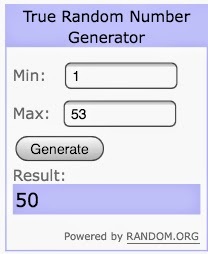 The winning comment number was 50. 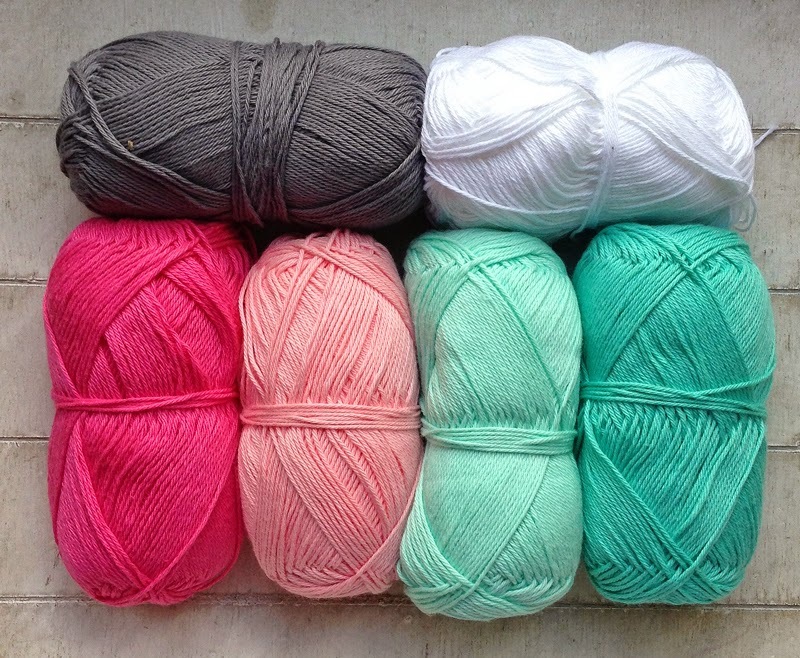 I'm already looking forward to seeing what you make with the gorgeous Cotton 8! Ah...if only had enough yarn to share with you all! As I said earlier, I've had a busy time on the hooky front. I've got 3 large projects on the go at the minute and I really just wanted to make something that was straightforward and quick! I chose 2 things as I couldn't quite make my mind up!!! First was the gorgeous Nordic Shawl designed by Annette from My Rose Valley. I've had this on my "to-do" list ever since I first saw it. So I delved into my Scheepjeswol Cotton 8 stash and selected some colours! Ah....it was a dream to make! Something nice and easy that I could watch a couple of movies along to. Before I knew it I was adding in the colours! I love how the paler colours contrast against the deep grey. I've finished the shawl already. It just needs to be blocked and few photos to be taken. Weather permitting I should get that done this weekend. Second project was way out of my usual comfort zone! Via a good friend, I was pointed in the direction of this website here! 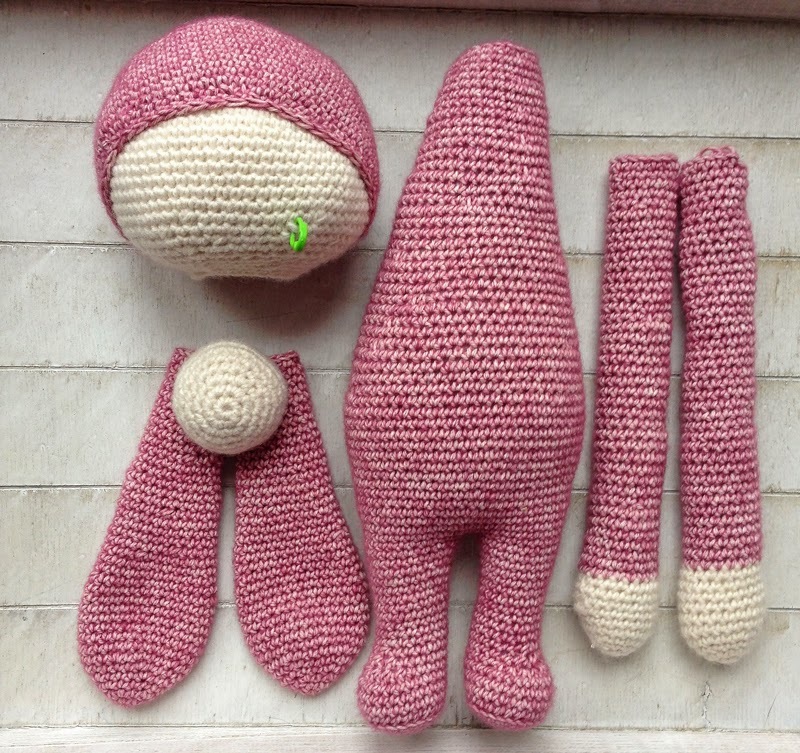 I decided on Rita the Rabbit for a first attempt but somehow I ended up buying 3 patterns....how on earth did that happen??? Hehehe! I used Scheepjes Stone Washed yarn as I just LOVE the texture it gives and it's also nice and soft to touch. Hopefully next time I shall have some finished projects to share and also an update on the Luca project!